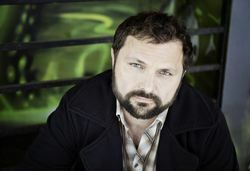 Brian Drummond~Most well-known for his role as Vegeta, Yajirobe, and Vegito in the Ocean Studios English dub of the anime series Dragon Ball Z, Drummond tends to be cast as either an impassive warrior (Andrew Waltfeld), or a kind-hearted father-figure (Reverend Malchio). Lately, he has also played the role of the cowardly Yuna Roma Seiran in Mobile Suit Gundam as well as Ryuk in Death Note. He has landed prominent roles in various anime such as Renkotsu in InuYasha, and Gundam Wing as Zechs Merquise. Brian has also appeared in Da Vinci's Inquest in minor background roles. Other current endeavors include My Little Pony: Friendship is Magic, Ninjago, and Iron Man: Armed Adventures.